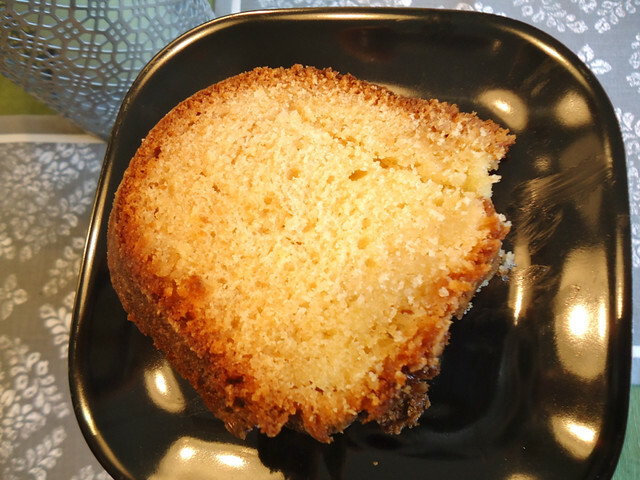 If you've ever traveled anywhere in the Caribbean, Florida, or the Bahamas, you will confirm that Tortuga Rum Cakes are everywhere. Our favorite flavor is Blue Mountain Coffee, and we even tracked another one of those down on our recent trip. It is a tradition where I work to bring in a treat from where you have traveled - one of those nice things to do that is in no way an obligation, but we have a bunch of foodies and we seem to enjoy this tradition. 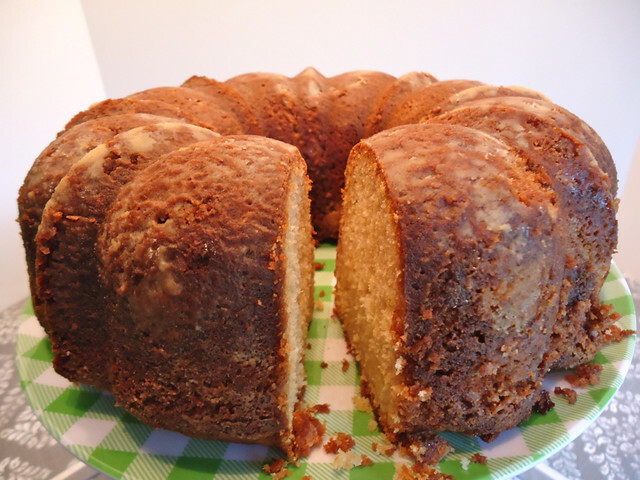 Tortuga Rum Cakes, while delicious, are a little spendy if you want to feed thirty people, besides being bulky to travel with. I decided to hunt for a recipe to try on my own. Most recipes I could find were all copied from one source, and while I couldn't identify where it started, it included cake mix and pudding mix. I'm not against those things, but I wanted to bake from scratch, so I kept hunting. I stumbled across a recipe from Southern Living, November 2005, and bookmarked it to try. It seemed like it would have a lot of flavor between the lemon zest, rum, banana liqueur, and soaking syrup, and I was not disappointed. This is going in my recipe file to bring back again! 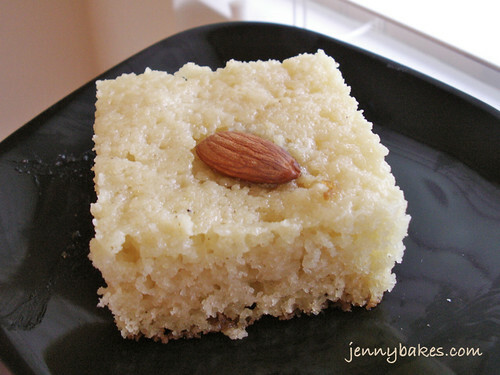 Bake at 350° for 55 to 60 minutes or until a long wooden pick inserted in center of cake comes out clean. Cool in pan on a wire rack 15 minutes. Pierce cake multiple times using a metal or wooden skewer. 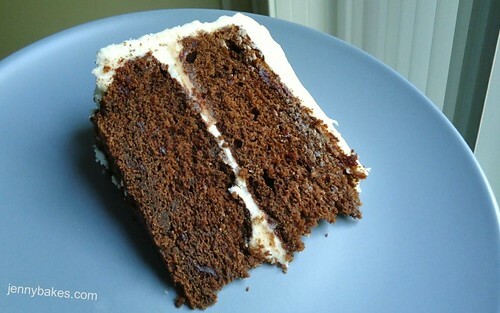 Pour Rum Syrup evenly over cake. Let stand 45 minutes. Remove from pan; cool completely on a wire rack. Sprinkle evenly with powdered sugar before serving. 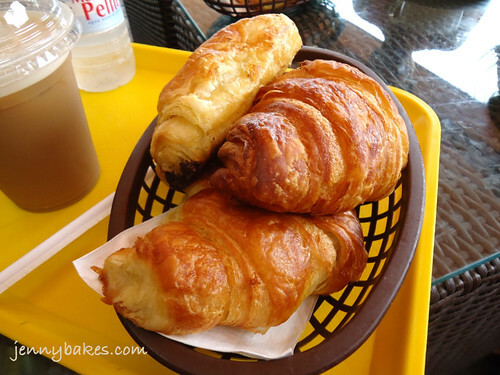 Would you believe me if I told you that there is an amazing French bakery in the Caribbean? Technically it is in France, in Marigot, on the French side of Saint Martin/Sint Maarten, and is called Sarafina's. We were on a three hour island tour with a taxi-van, and the driver said he'd be happy to take us, but that we should know that we may not want to leave after tasting it. There are breads everywhere. 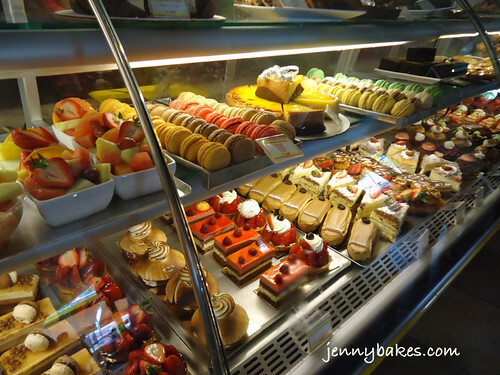 An entire case of cakes, another of gelato, and a very long case of pastries and sandwiches. We got croissants and some assorted cookies, and the croissants were a true highlight. 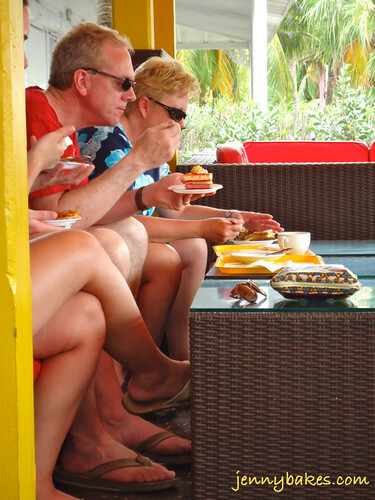 The clientele is clearly a mix of all different nationalities, residents and visitors, and it was very busy. Some of the workers spoke French, others English, and I must have heard four languages just sitting around in the dining area. I would say this is a place not to be missed if you ever find yourself on the island (and seriously, get away from the port, take an island tour, it is such a better way to learn about the place where you are! ).